Sipping on cocktails in the summer is fun, but imbibing a little somethin’ somethin’ in the fall is kind of mandatory. When the temperatures start to dip with a quickness, how else are we supposed to keep from freezing? 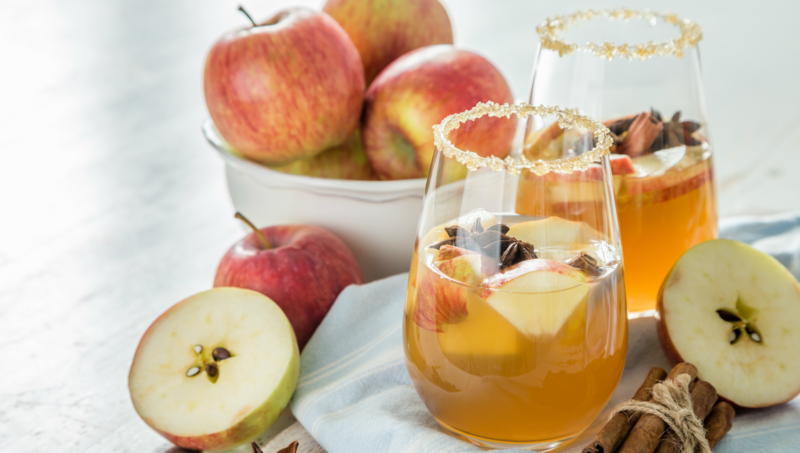 A spiked drink is an amazing way to keep the warm and fuzzies — and hard cider is definitely the epitome of the perfect autumn libation. These delicious cocktails are made with our favorite hard apple ciders and a few other prime ingredients. Drink up, buttercup! 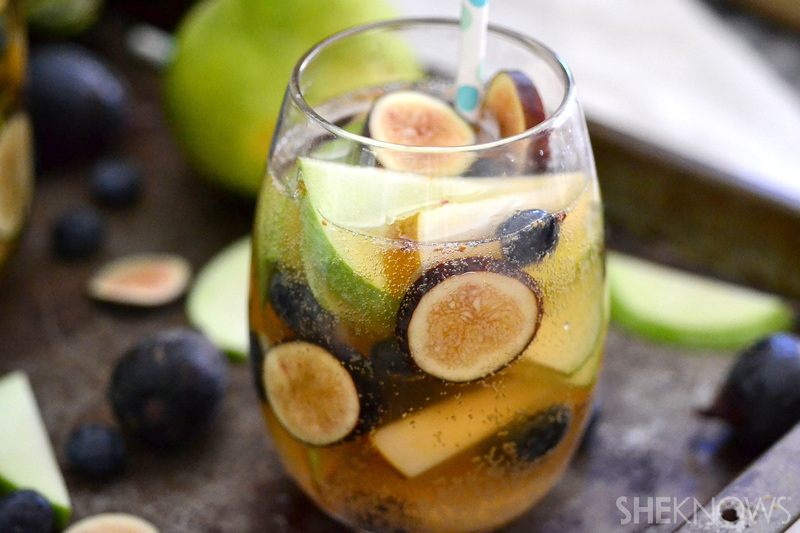 In a large pitcher, combine the apples, pears, figs and blueberries. Pour in the ginger ale, apple juice, whiskey and lemon juice. Carefully stir to combine. Right before serving, pour in the hard cider, and serve. Fill a few large drink shakers halfway with ice, and pour in the apple brandy, whiskey, lemon juice and simple syrup. Shake to combine. Fill jars or highball glasses halfway with ice. Strain the mixture into the jars or highball glasses, filling about 2/3 of the way full. Top with the hard apple cider. 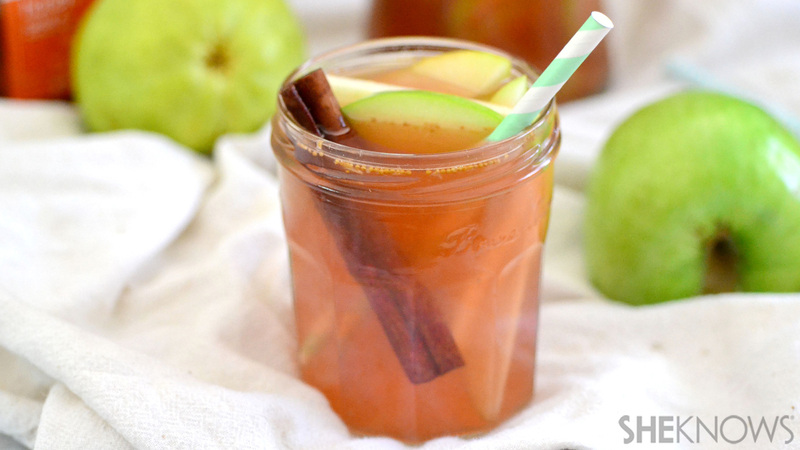 Garnish each jar or glass with sliced apples and cinnamon sticks. Pour the cider, 1 cup of hard apple cider and the whiskey into the basin of a Crock-Pot. In cheesecloth or a coffee filter, place the allspice, cloves and nutmeg. Tightly tie up the spices with bakers twine, and place it into the Crock-Pot (ensure it’s tied tight so the spices don’t leak out). Add the cinnamon sticks, and whisk in the brown sugar. Cover, and heat on low for about 2 to 3 hours. Pour the mixture into glasses. 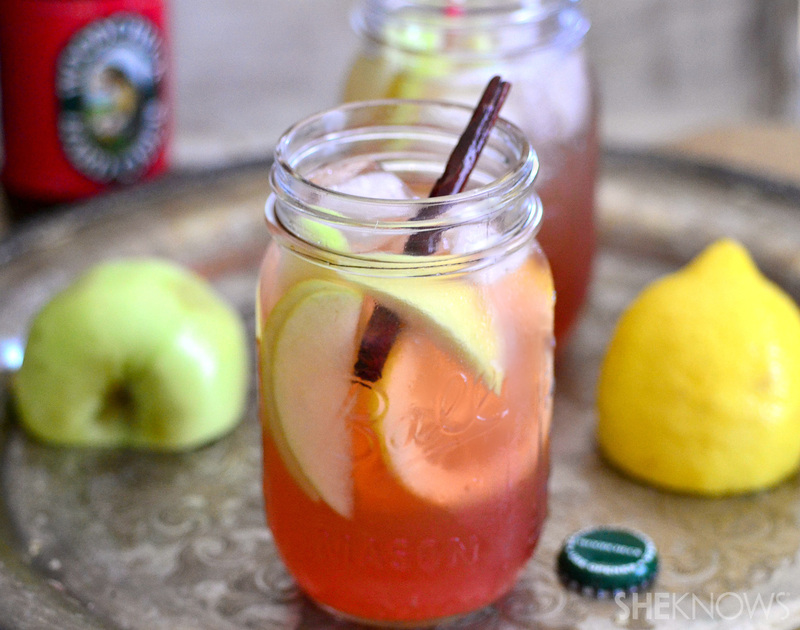 When serving, add splashes of the remaining hard apple cider to the top, and garnish each glass with sliced apple. Originally posted September 2014. Updated October 2017.